Overnight accommodation in our modern Spa Resort building, includes full Scottish breakfast served each morning in Cruize and access to our extensive leisure facilities. 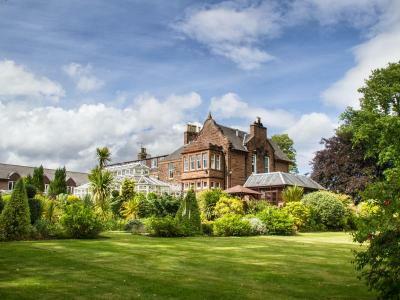 Overnight accommodation in our traditional House Hotel building, includes full Scottish breakfast served each morning in Brambles and access to our extensive leisure facilities. Overnight accommodation in our modern Spa Resort building, includes includes full Scottish breakfast each morning in Cruize and access to our extensive leisure facilities plus nightly food allowance for use in any of our restaurants. (£22.50 per adult and £6.15 per child (0-10yrs, £12.95 per child 11-16yrs). (For bookings covering 25th December, full Christmas dinner is included). 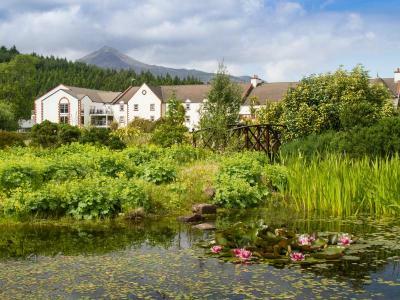 Overnight accommodation in our traditional House Hotel building, includes full Scottish breakfast served each morning in Brambles and access to our extensive leisure facilities plus nightly food allowance for use in any of our restaurants. (£22.50 per adult and £6.15 per child (0-10yrs, £12.95 per child 11-16yrs). (For bookings covering 25th December, full Christmas dinner is included).